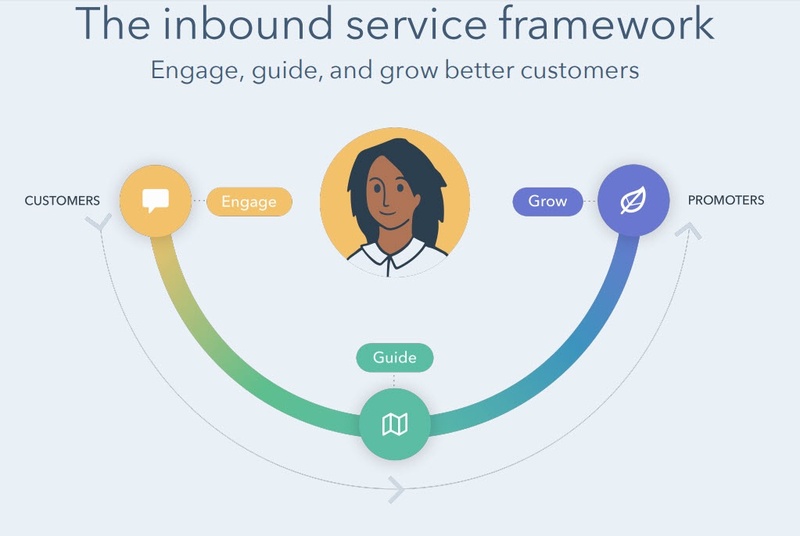 "90% of people expect companies to have a self-service online customer help section"
Now with tools available in the Service Hub it makes it easier for you to deliver on an exceptional experience for your business's most important asset, your customers. Often in smaller organisations the flow of information and ease of communication is much better. As a company grows however, you find it's not as easy to shout across the small office to your co-worker or walk across the Customer support. As physically they in a different location. When I started working in Hubspot there was 30 of us located in one small open space on one floor. In fact, there was still space left over in half of the floor for a ping-pong table, yoga classes or events to take place. I often walked over to different departments or even swivelled my desk chair around to ask a question to a another team member. If things were really tricky I might walk 3 desk rows over to our 1 Sales Engineer or the 3 Support reps that worked in the other corner. Yes that's me in the blue dress and orange sunglasses. This was pretty much everyone from Dubsot's early days. As an implementation specialist it was my job along with my 2 other team members to onboard all the new customers across EMEA & APAC region. Regardless of industry, location or size of organisation. Between us we got thousands of organisations all up and running on Hubspot by launching their first campaign as quickly as possible with a relatively high touch model. 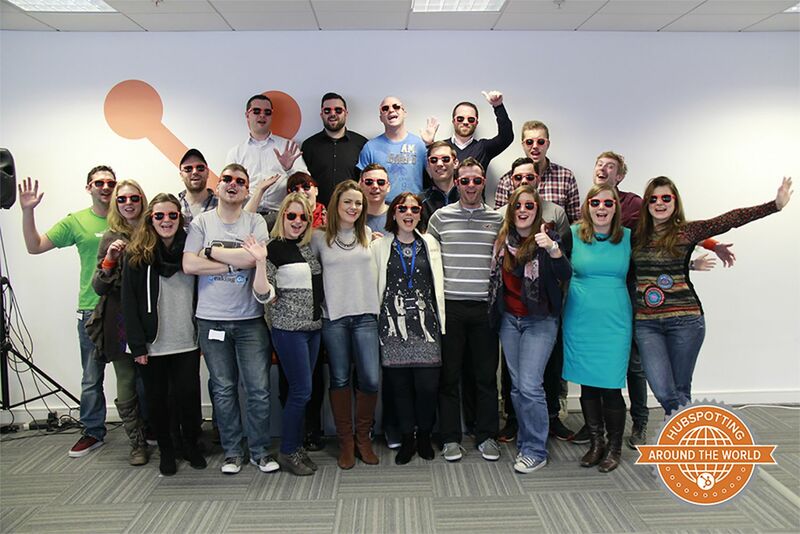 Today Hubspot's Dublin office has grown to over 620 employees across 2 buildings, over 5 floors and is growing rapidly. Since those early days Hubspot has also opened offices in Sydney, Singapore, Tokyo and Berlin. Now unless you want to get on plane every single time you have a question about a customer you need the right tools, strategy and process in place. Each department back then had different tools and systems. It was difficult to see the full history or interaction of a customer from the beginning, all the way through the various touch points. I would have loved to have seen a full timeline in a contact record clearly available with all the information I needed. Did a customer have an outstanding issue with support? Did they have a good or bad NPS? Was there a billing issue? Having this type of information before hopping on a call makes the world of difference. What can I do with the Service Hub? You can easily assign tickets to individual team members from a centralised inbox. In addition, by using live chat on your website you can solve your customers issues in real time. You can use canned response to respond to issues quickly, easily record a short video or even use automation chat bots to serve the right help documentation to your customers. By documenting the answers to your customers most asked questions and adding them to a knowledge base. So if you clients search for an answer to their problem online they can easily find it themselves. Knowing who your promoters are and how you can attract new prospects through referrals is key to growing your business effectively. By surveying your customers you can gather valuable customer insights and turn them into potential future products updates or new services for your business. 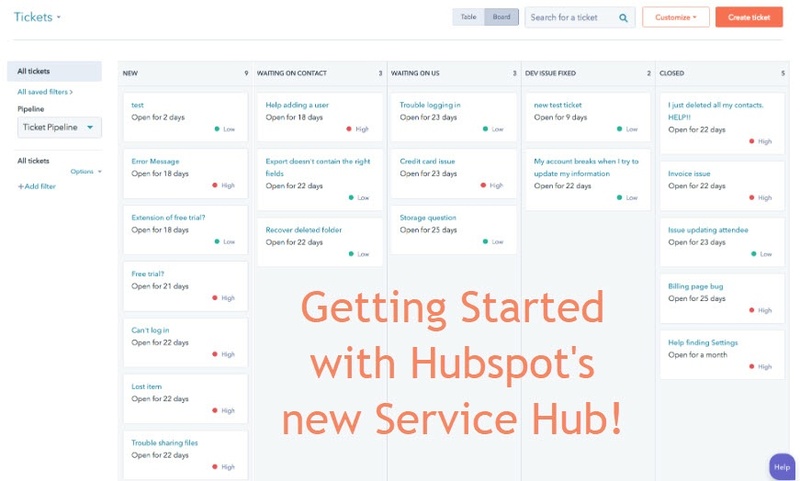 What is included in the Hubspot Service Hub? The knowledge base is like a blog of your help articles or documentation. You can customise the way they look and feel. They will automatically be indexed and you can ensure they are responsive on look good on multiple devices. In addition you can add images and video to the articles to make them more interactive and user friendly. This is basically a survey tool to help you to read the pulse of your customers happiness. There are different survey types you can use. Such as a Net Promoter Score (NPS) this is useful to gauge customer loyalty overtime. The Customer Effort Score (CES) helps to find out how easy it is for customers to get the support they need or use. The Customer Satisfaction (CSAT) surveys to understand how satisfied your customers are after different points in the customer journey. You can use bots to direct customers to relevant knowledge base or to a customer service agent. Reducing the resources required to manage your customer base effectively. Everytime a customer interacts with someone in your support or sales team a record of it is logged directly in the contact timeline. So before you next interact with that customer you know if they have an outstanding issue. What should I think about first when using the Service Hub? So there are a lot of parts to unpack here. I always advise before diving into the tool to have a solid strategy and that everyone involved is in alignment on the approach to take. Define what good customers service means for your organisation? Does this mean solving for the customer no matter what, or responding within a certain time frame or do you have budget restrictions? 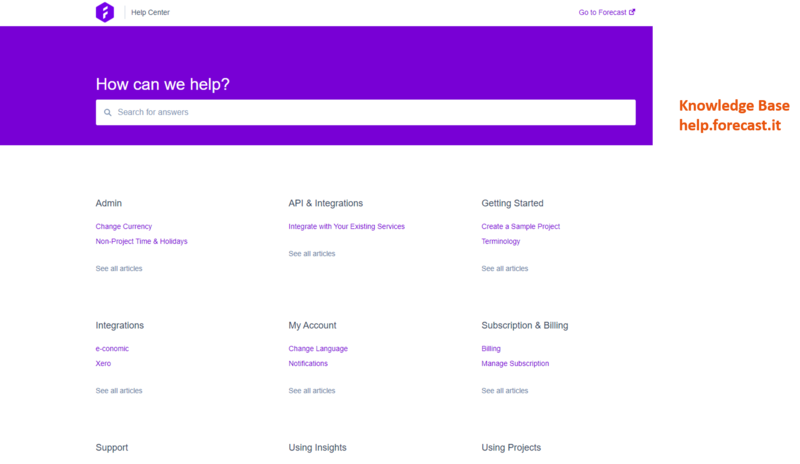 Create documentation to all your most frequently asked support questions? Are there gaps, do a ticket audit can you create a culture of documentation with your support team? You might have a pipeline for development, for fixing bugs, onboarding and support. Document how you would like your chat bot conversations to flow. Build your chat bots and run tests internally before launching. Have a plan for gathering regular customer feedback using Hubspot Customer feedback tools. Use this information to iterate your process. Also gather feedback internally, what could you improve to make life easier for both your customers and employees? What does the Service Hub Cost?